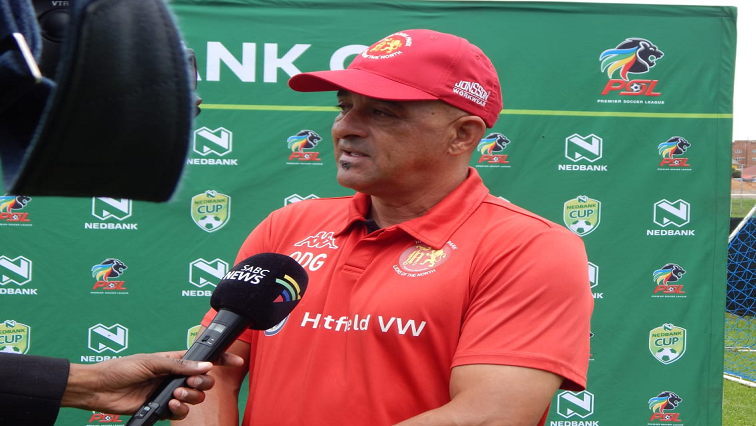 Highlands Park optimistic ahead of Nedbank clash against Cape Town City - SABC News - Breaking news, special reports, world, business, sport coverage of all South African current events. Africa's news leader. Highlands Park coach Owen Da Gama says is aware of the threat posed by Cape Town City. Highlands Park will travel to Cape Town stadium to face Benni McCarthy’s Cape Town City in a Nedbank Cup last 16 match on Friday. The Lions of the North will go into the tie high on confidence after beating ABSA Premiership log leaders, Bidvest Wits, 2-1 in Tembisa on Saturday afternoon. Highlands Park are quietly going about their business in the ABSA Premiership. They have made the Makhulong stadium their fortress, giving all the teams a run for their money at the venue. The Owen da Gama-led side played to draws against the two Soweto giants, Kaizer Chiefs and Orlando Pirates in Tembisa. In their recent match against the log leaders on Saturday, they claimed maximum points after winning by two goals to one. Their focus has now shifted to the Nedbank Cup. On Friday evening, they will face the wounded Cape Town City who suffered a 1-0 loss to AmaZulu on Saturday. Da Gama is aware of the threat posed by City. The Lions of the North have bolstered their squad by acquiring the services of holding midfielder, Enocent Mkhabela. The Mbombela-born Mkhabela will perform the same role as the club’s top goal-scorer, Mothobi Mvala, who missed the match against Wits because of an injury. “Cape Town City has been doing well lately, especially in their home ground. I think they haven’t lost in five games. We also going to do well, we want to see ourselves in the next round of the Nedbank Cup,” Mvala said. Mkhabela says Da Gama knows his strengths as the two have worked together before. The match at the Cape Town Stadium will kick off at eight o’clock on Friday evening. This entry was posted on 12 Feb 2019,08:23PM at 8:23 PM and is filed under Sport. You can follow any responses to this entry through the RSS 2.0 feed. Both comments and pings are currently closed.